This of course is the obvious one. It keeps the sand and salt outside, where rightfully it belongs and not on your couch, floor or furniture. You can also use it to wash off your beach toys, surfboards, paddlebaords, chairs, etc. If a full shower isn’t for you, a foot shower can accomplish the same. 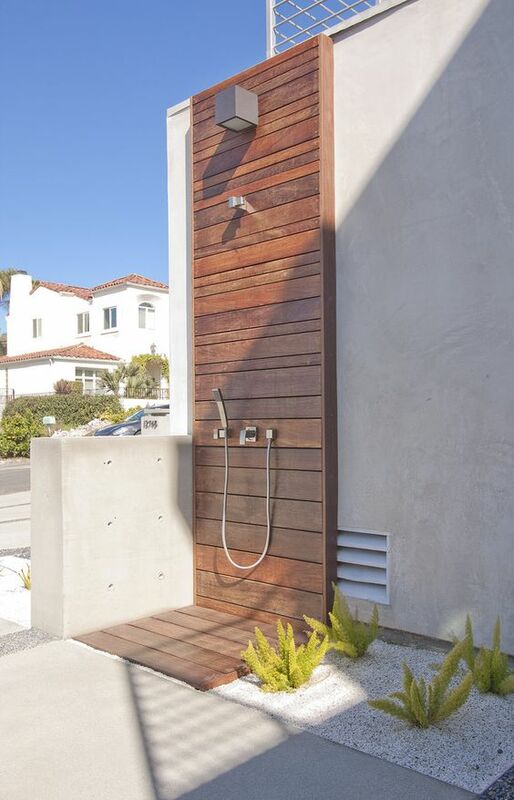 Even if they haven’t been at the beach, if they have been rolling around in the mud, or playing outside, they always seem to appreciate the outdoor shower, given the right weather outside. Given all the positives, it is also important to remember the contrary. The water bill can definitely rise, they are expensive to install especially living by the beach because of the salt water and corrosion, and you must be consistent with cleaning the drainage. 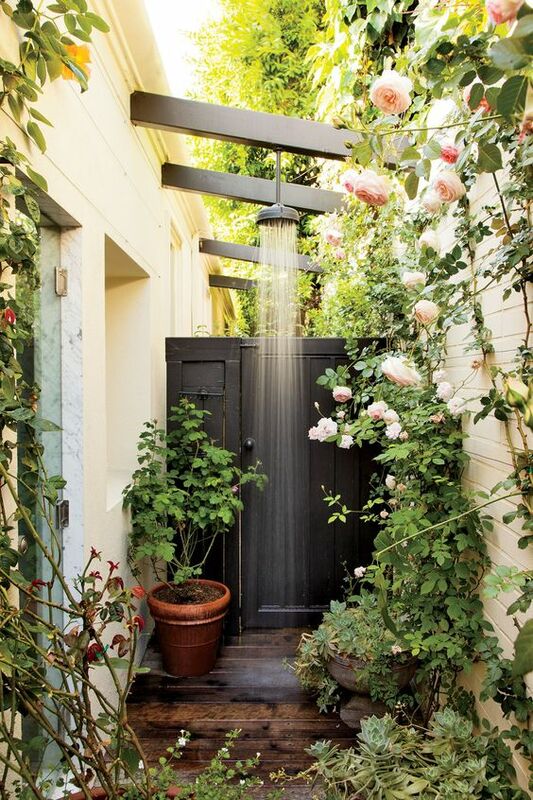 Check the photos above for some favorite outdoor showers we have come across.